Come Summer, and hundreds of varieties of jams, pickles & preserves get made in homes. 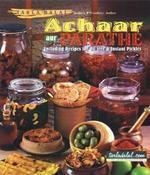 Even with the advent of packaged food, there is nothing to beat that yummy homemade pickle. Handed down with guarded secrecy through the generations, these accompaniments form every part of Indian cuisine - Squash / pickles / jams / jellies / sun dried papadums (or vathals) / marmalades : the list is just endless..
1) Fresh entries only (that is, posted between 1st Apr & 31st May on your blog). Any number of fresh entries accepted. 2) Vegetarian and eggless recipes only. 5) Subscribe to posts via Email - enter your email on the subscription box on the left panel of this blog page . Please note only confirmed & valid subscriptions are accepted to be an entry. 3) Please note this is giveaway is NOT sponsored by the author of the book or is any commercial offer, but is solely my personal giveaway. I do not how to begin this post. I have been tongue tied ever since Kalyani asked me to do a guest post for her. Knowing that i m still at the bottom of the rung when it comes to blogging and cooking, someone asking you to do a guest post can leave you speechless. Kalyani and i share something of a sisters' chemistry. I adore the way she writes. Between myriad conversations about the lost charm of Bangalore and the wonder factor of Madhwa cuisine, we both have evolved from being co bloggers to great friends. I am so glad that I struck up the conversation with her that fateful afternoon. If you ask me how i happened to blog, i will tell point at Mr. P, my hubby. For the life of me, i cant imagine writing stuff for everyone to read . I was very happy cooking, cleaning and reading. Blogging or rather typing up stuff was not a penchant. It was P who gently coaxed me into writing. He even offered to write up posts for me. But once you begin writing or blogging, then there s no stopping i guess. You want to improve on your cooking, you want to explore new ways of cooking and you want to venture out into unfamiliar territories of cooking. That s just what happened to me. I transformed into a maniacal foodie once i began my blog. I threw quite a few people off balance when i became this maniac. Ever since i ve started writing, i ve changed as a person completely. I ve learnt to appreciate nuances of food and i ve also made some great friends. In short, i can tell blogging is therapy to me. I cant imagine a life without my blog. The eager beaver blogger in me has definitely scored some brownie points in my life. 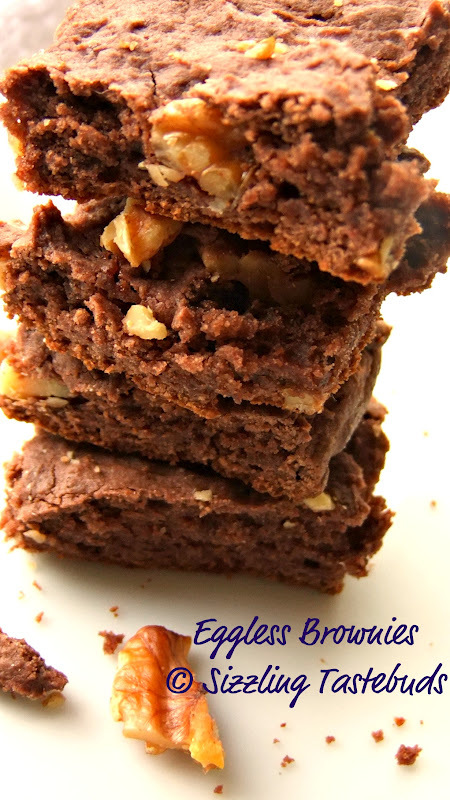 Baking and blogging go hand in hand for me. I began experimenting with baking and it is only this interest which perked up my courage to be more experimental in cooking. I started with a humble eggless chocolate cake. It was a run of the mill attempt but that did not discourage me. Ever since that paltry cake that i baked, i ve read up so much on baking that i sometimes feel if you put me in the oven, I'll come out as one pretty nice cake. All that reading has rewarded me with some pieces de resistance over these one and half years of cooking. Whenever i buy a bunch of cilantro, i wonder how God made such beautiful flavors. 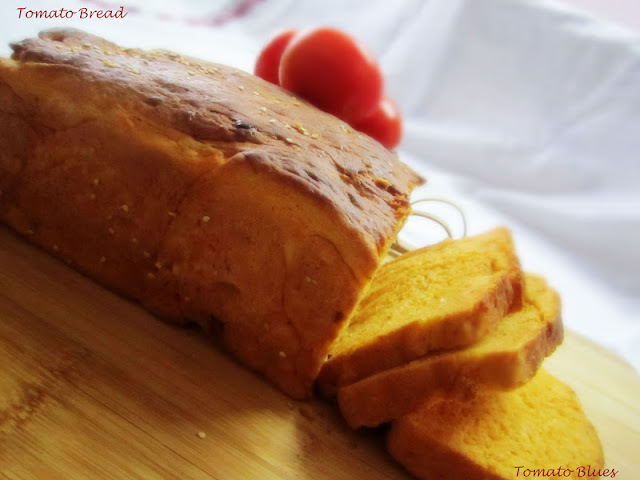 It is complete bliss to stay in a kitchen surrounded by aromas like that of cilantro, cumin or freshly baked bread. Really. I love baking bread from the scratch. And i do it on days when i feel really old. When i say old, i mean very old. I even peep into the mirror to check if my hair has grayed. Somehow, baking bread makes me feel young, maybe it’s the excitement involved.I got hooked on to baking when i began watching Nigella and Rachel on TV. I used to be so absorbed, my dad used to pretend that he s swatting flies away from my mouth. Somehow, watching Nigella and Rachel always left me open mouthed and tongue tied. I used to watch one recipe, admire her totally and then used to imagine myself making that recipe. But i couldnt have been so wrong. Cos, baking comes with some strings attached. You cant bake a perfect cake or a springy bread until you ve mastered some techniques. You need plenty of patience, a lot of research on baking and the ability to handle heartbreak. For me, if a bread or a cake fails, its as good as the end of a love affair. I ll weep, cry and throw a big tantrum. I can be quite difficult at times. Especially when a bread fails me. I ve made this delicious earthy bread twice now and it s not yet failed me. Tastes heavenly with some soup and pasta. Ha… what bliss it was to sift, combine, mix and knead. Kneading the dough is therapy for me. I love the way in which a totally disoriented mass of flour comes into shape beautifully under your hands. The experience is enchanting. And to wait for the dough to rise is like watching a thriller movie. Edge of the seat experience. 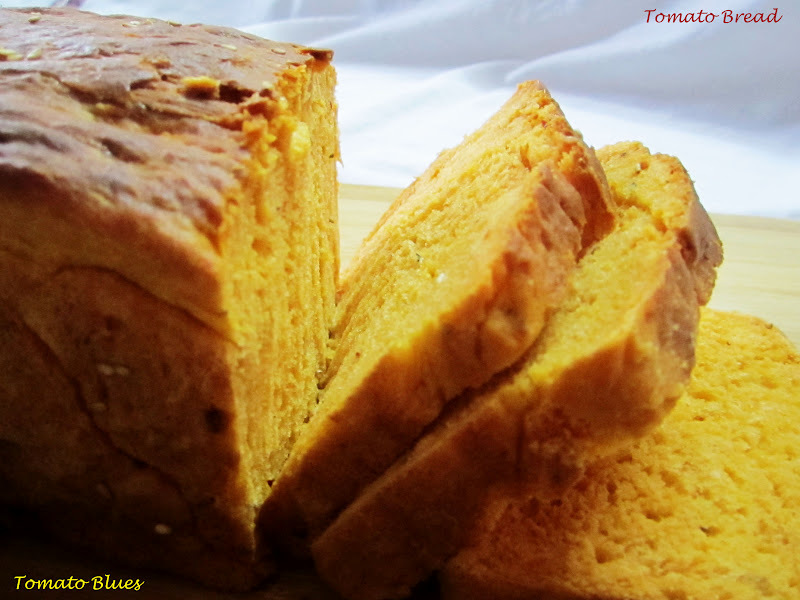 But do try this bread and you wont be disappointed at all. 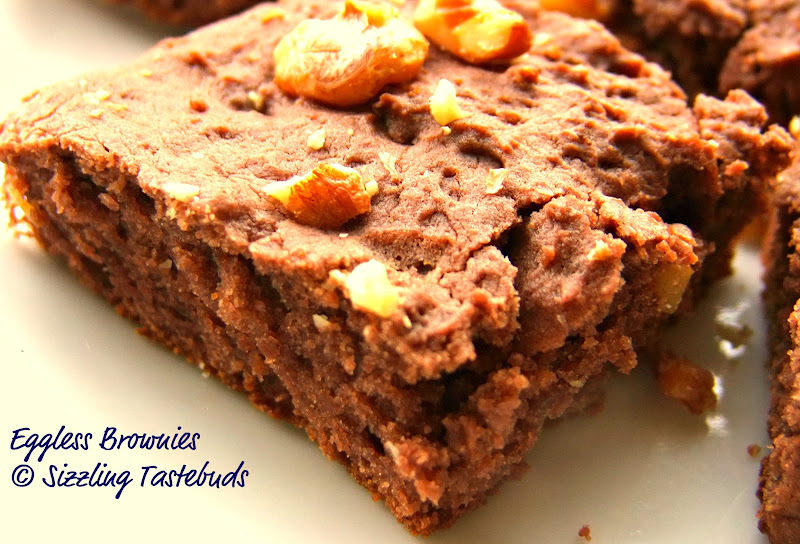 The flavors are so homely and warm, you will only want to bake it again. Mix the yeast, sugar and the warm water in a bowl and set aside for 10 mins. In the meanwhile, place the flour, salt and the spices in a large mixing bowl and combine well. Make a well in the center and add the pureed tomato, olive oil and tomato ketchup. By now, the yeast should have proofed with a nice frothy layer on the top. Add the yeast mixture in the center. Start combining the dough slowly until it all comes together in one mass. 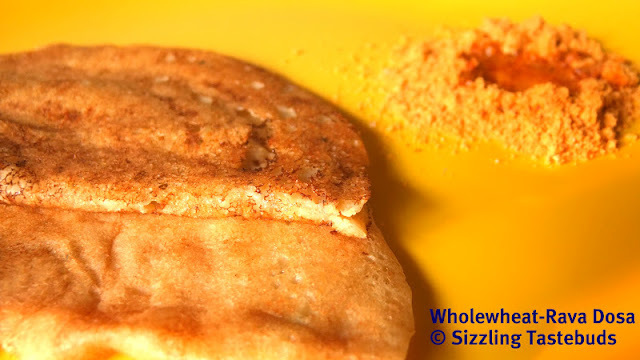 Now, transfer the dough to a floured surface and start kneading the dough with your hands for about 5 to 6 mins until you get a soft elastic dough just like that of chapathi dough. Do the whole process of kneading with the heel of your palm, alternating between folding the dough and kneading. (refer notes above). Once you get a supple and soft dough, transfer this to a bowl greased with oil and cover with a kitchen towel. Let it rest in a warm place till the dough doubles. Mine took exactly 45 mins. Once the dough has doubled, knock it down and knead for another min. Grease a loaf pan generously with oil. Shape the dough into a loaf and place it in the loaf pan. Set aside covering with a kitchen towel again in a warm place. Wait till the dough doubles. Takes another 40 to 50 mins again. Towards the end of the second rise, preheat the oven to 190 C.
Once the dough doubles, glaze with milk, add the toppings that you desire and place in the oven and bake at 190 c for 20 mins. After 20 mins, reduce the temperature to 160 C and bake for another 10 mins. Remove from the oven and let the loaf stay in the pan for 10 mins. Glaze the loaf with melted butter. Now, invert onto a cooling rack and let it cool. Once cooled, cut into slices with a serrated knife. Enjoy with your favorite soup and a bowl of pasta. Jowar or Sorghum is one wholegrain that was (read is) extensively used in Rural India, although Wikipedia tells us it was a native of Africa. 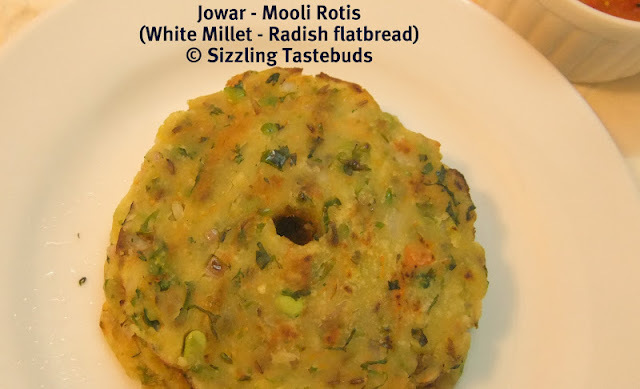 Jowar Rotis is very popular in parts of Karnataka, Andhra and even Maharashtra. Due to the knowledge explosion over the past decade, and also the emergence of new eating cultures, urban India also has taken to this grain. Sorghum starch does not contain gluten. This makes sorghum a possible grain for those who are gluten sensitive. For today's dish,I have added Radish to make it rich in Zinc and Amino Acids. This is highly recommended for young growing kids and also lactating women too. As I had some shelled field beans (Avarekaalu), I added them for a zing, and we all liked it very much. 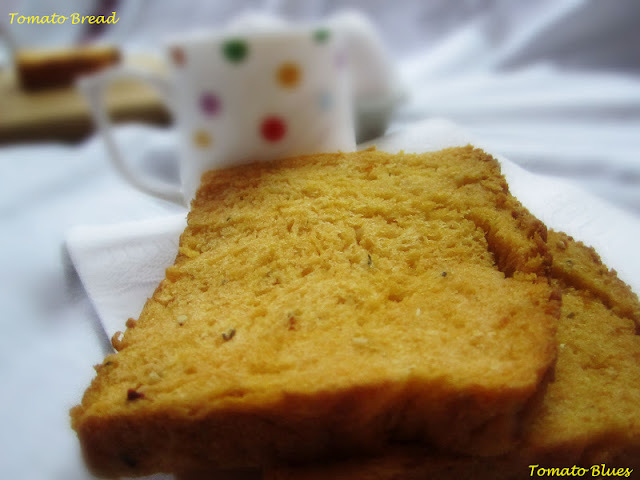 Serve it with Tomato Pachadi or just curd and pickle for a healthy breakfast / brunch option. 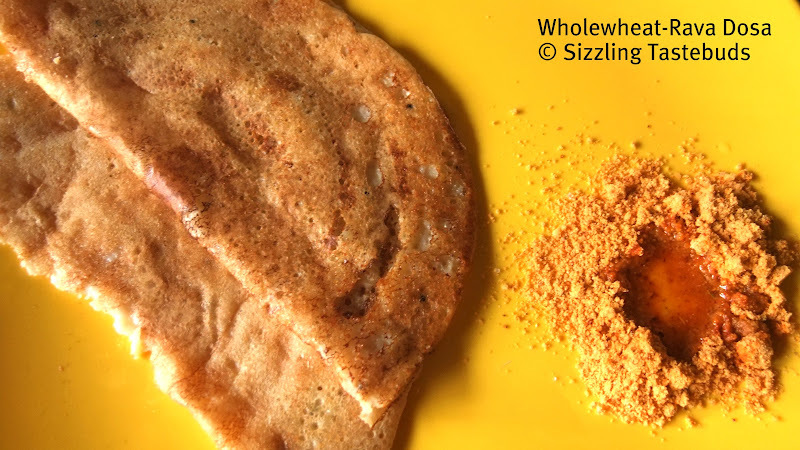 1) The method I have followed here is quite similar to making Akki Rotti (Rice flour flatbread) or Ragi Rotti (finger millet flatbread). 2) Also, as Jowar is low on gluten, it may be difficult to roll this out with a rolling pan , so patting it to a flatbread with the fingers on a greased surface is the best method. 3) So,make the rotis small so its easy to handle and also prevents breaking and ensure to cook on a low flame. Sending this to BM # 14 under wholegrains theme. If you have missed this week's posts, here is a quick recap. Check my fellow marathoners here. 1) Combine all ingredients (except oil) and knead to a soft dough using adequate hot water. Rest for 5 mins with a covered kitchen towel to prevent drying. 2) Divide the dough into 6 equal portions. 3) Grease 2 plastic zip lock covers (or any foil). Take a portion of the dough and flatten to a thickish bread(roti) consistency using the tips of your fingers. 4) Meanwhile heat a tava (skillet) to medium heat and cook on both sides till brown spots appear on the surface. Repeat with the rest of the dough. On the days grandmom used to fast, carbs and lentils were avoided in the diet. And this is one of her quick to make and yummy crispy dosas. I remembered this recipe - Wholewheat flour & Rava Dosa suddenly last week and made this. Team it up with any chutney and / or molgapudi and you have a very filling breakfast. 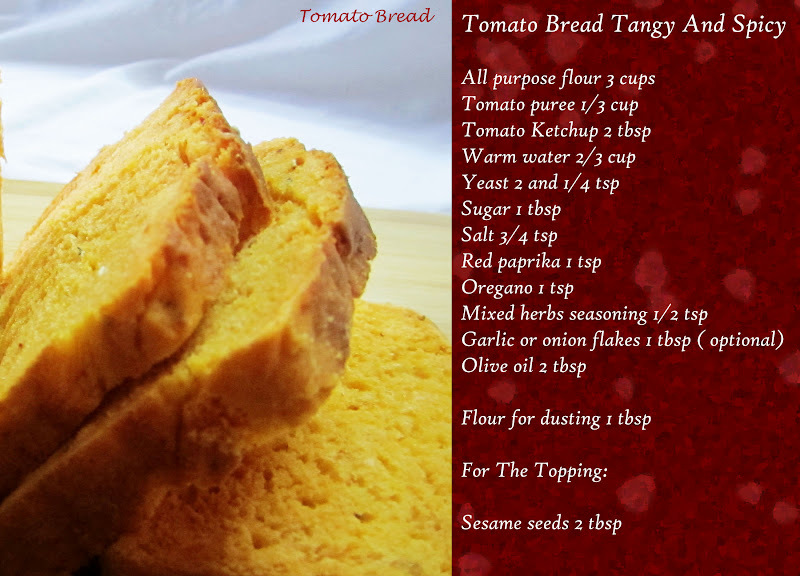 Maida also is added to this, but I wanted to make this only with wholewheat and we enjoyed it a lot. You may also add grated veggies / onions / chilles etc to spice it up . 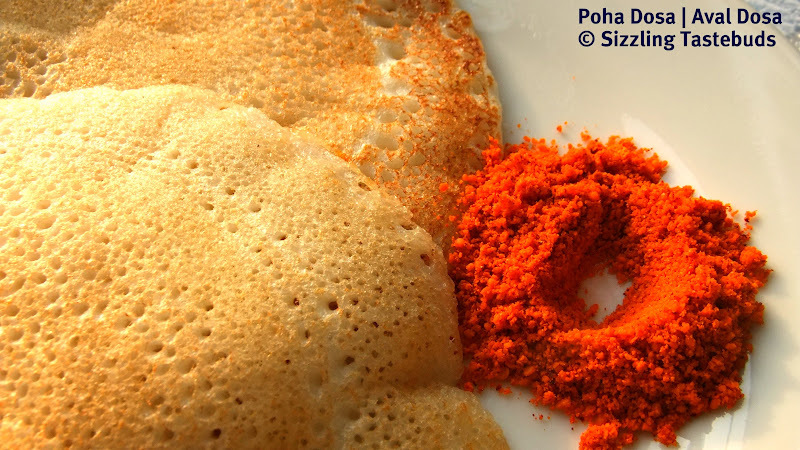 For kids, the dosa could also be topped with grated cheese or paneer to make it more healthy and filling : the options are endless. However, as this is a recipe strictly for those who fast, I have made it sans any spice or onions. Instead of maida, however you may add Sama flour (used for fasting). Let's get to this recipe while I send this to BM # 14 under Dosa Varieties. Check the fellow marathoners here. 1) Mix the Wholewheat flour, Rava and salt. Add curd and mix again. Pour water to make it to running consistency but not too watery. Rest for 5 - 10 mins. 2) Heat a skillet (tava) on high and sprinkle some water to test if the water sizzles. I knew I could make Muffins using these (which I dutifully did), use as topping for patties / cutlets (which I also did). 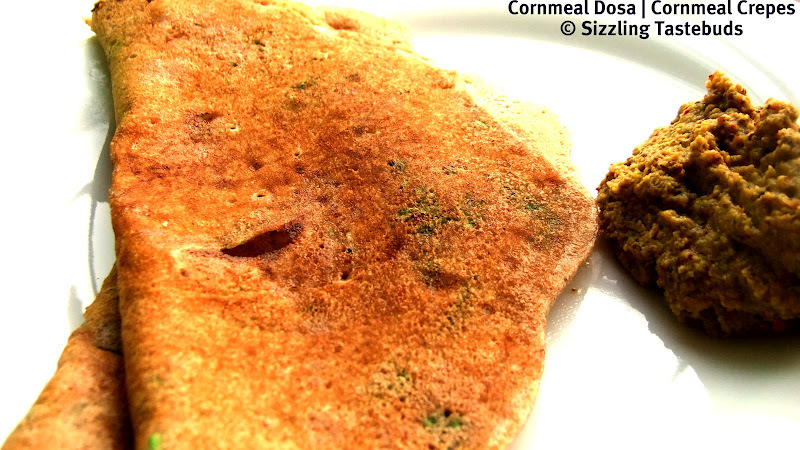 And finally made these yummy fluffy Cornmeal Dosas, to which the base was Oats. And how healthier can it get ? Although kiddo wasnt temped to have any (coz it wasnt crispy enough for her), we all liked it and its definitely going to be a regualr on the breakfast table. Sending this to BM # 14 under Dosa Varieties. Check out the other marathoners here. Prep time - 15 mins. 1) Mix the dry ingredients first : Cornmeal, salt, Oats & Rice flour. Add buttermilk to this little by little and make the batter to a flowing consistency. If required, add a little water. 3) Heat a tava / skillet to high. Spinkle water to check if the water sizzles. Take a ladleful of batter and spread thick or thin in concentric circles. Turn heat to medium. Drizzle oil around the edges and cook for 1-2 mins. 4) Flip over and cook again for 30 seconds. 5) Serve hot with any chutney or sambhar. Parathas are welcome anytime,any day. My self confessed love for a particular Alu Paratha that I ate eons ago is well documented. 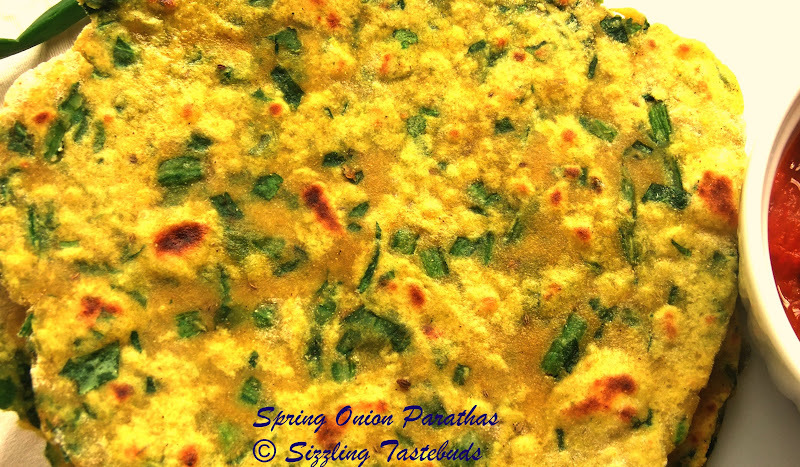 Although we make Palak Parathas & Methi Parathas quite regularly at home, I was wanting to make Spring Onion Parathas sometime soon, and BM # 14 under wholegrains theme gave me that right opportunity. Team this flatbread with any spicy chutney / pickle & curd, and you have a winner on hand. Great for kids' lunchboxes too,. I added some grated cauliflower & Kasuri Methi to this (whose textures blended so well with the Spring Onions), so it was a wholesome and healthy meal to say, the least :) Do try it out and let me know how you liked it :) Meanwhile, I am sending this to my own event HoliFest running at this blog. If you want to know what the other members have dished out for BM#14, head here. Onions - 1 medium - minced very fine. Coriander leaves - a handful. 2) Slightly crush the Kasuri Methi between your palms. 3) In a pan, heat 2 TBSP oil. Add minced onions (if using) and saute till they turn pink. 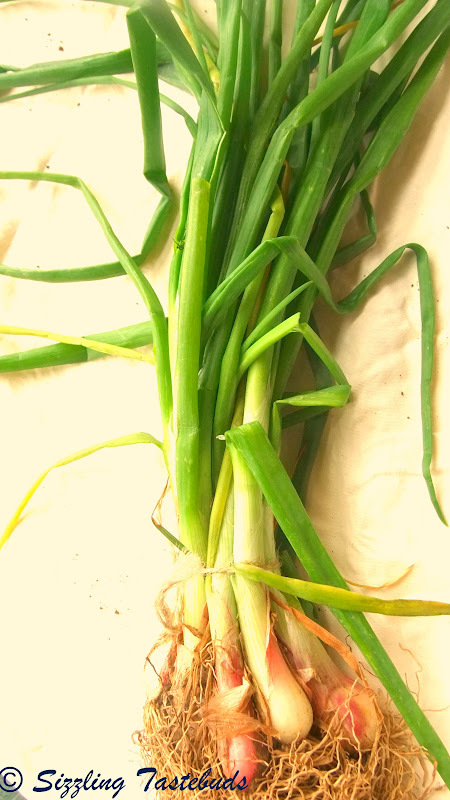 Now add grated veggies, spring onions and fry slightly till the raw smell disappears. Add salt, turmeric, dry spices and mix well till you get a nice dry mixture. Finish with crushed Kasuri Methi , coriander leaves and cool the mixture thoroughly. Meanwhile, rub the ghee into the wholewheat mixture and adding salt and water, make it to a soft dough. Let the dough rest for 10 - 15 mins. You may also make the dough before making the filling. 1) Divide the filling to equal lemon sized balls. 3) Cook on a medium hot tava (skillet) with oil on both sides till finely cooked. 4) Serve hot with Tomato Pachadi (recipe coming soon!!) for a yummy wholesome meal ! 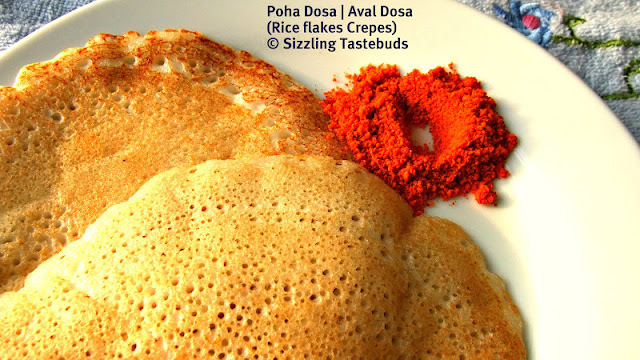 And, let me finally come to today's post : Poha Dosa or the super soft Attukula Attu or Dosa made with rice flakes. My initiation to this too, happened at a Telugu speaking friend's place while in high school. 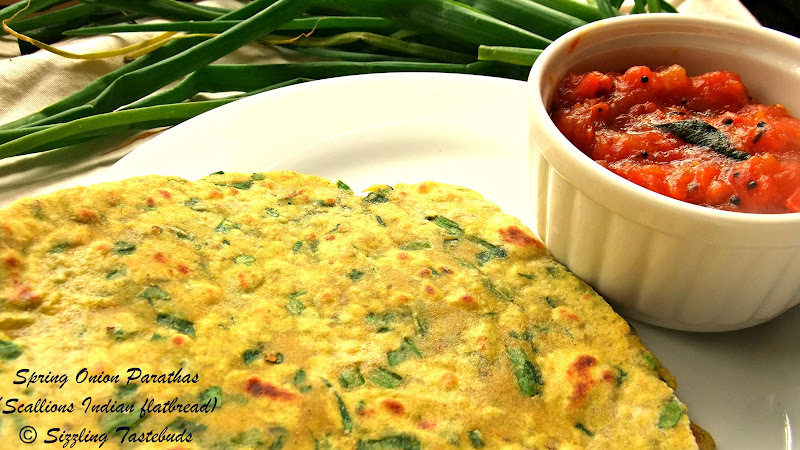 Served with Tomato Chutney, it was simply out of this world. And after a decade or so, chanced to eat this again at a Hyderabad eatery last year. Since then, this has been on my to-do list, and although this is similar to the Set Dosa of Karnataka, I find the former a tad lighter and softer. And what better way to use up the Poha (flattened rice) at home while at the same time have a yummy light breakfast. For a non-dosa lover like me, this sure has some magic up its sleeve. Sending this to BM # 14 under Dosa Varieties, Rasya's I am the star and Rosh's Comfort Food. Check out the fellow Marathoners here. 2) Combine Urad dal, poha and methi seeds and soak for same time. 4) Then grind the rice with minimal water and keep adding water as and when required. When rice is completely ground (About 30 mins) add the Urad dal mixture, salt and grind for further 10 mins till finely incorporated. Then transfer to a large bowl / steel container and mix well with your bare hands (the heat from your body is crucial for the batter to ferment better. 6) Next morning, mix the batter well. 7) Heat a tava (skillet) to high and sprinkle some water. If it sizzles, then the tava is ready. 9) Flip off the tava and serve hot with any Chutney and Sambhar. We loved it with Molagapudi (fiery lentil powder). 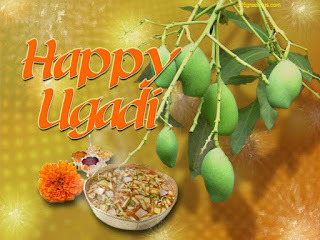 Happy Ugadi to all my readers who celebrate this festival in Karnataka & Andhra Pradesh. For the uninitited, this is the celebration of the new year and the welcome to spring post the harvest season. Tamilnadu / Kerala - other two southern states celebrate this on April 13th / 14th every year, while Karnataka & Andhra celebrate this today. I come from Bangalore and speak Tamil, so celebrate both the Kannada Ugadi and Tamil Ugadi (also called Varsha Porappu or Chitra Vishu). On this day, Panchanga Sravanam (or reading of the holy Almanac) is followed by a pooja (offering) to the dieties and a mixture of Bevu-Bella (Neem leaves-jaggery) is eaten as prasad to symbolise the biiter-sweet year ahead, and to take joy and sorrow in the same stride. Even Maharashtrians celebrate today with a festival called Gudi Padwa. 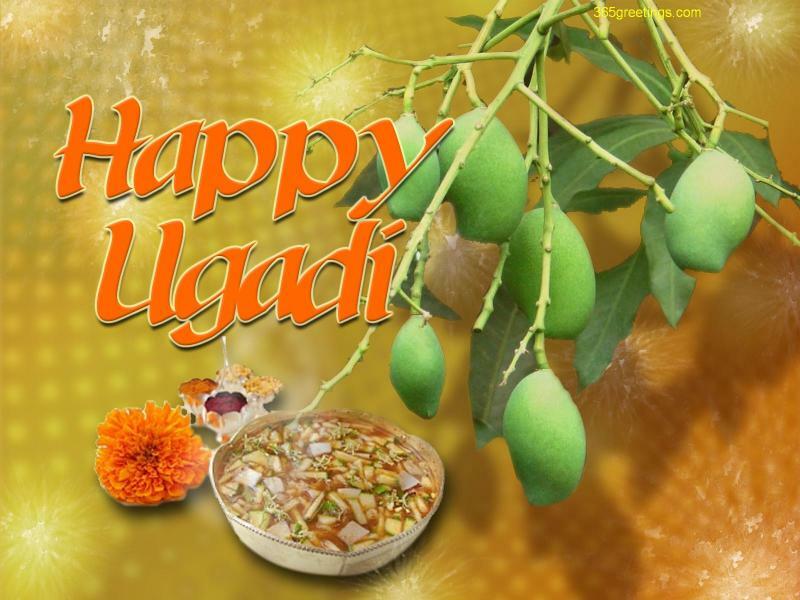 Basically Ugadi is the beginning of the Hindu Calendar and is celebrated (obviously) on the first year (Padya/Padyami) of that day. Traditionally, in my house Obaatu & Puliyogare are made as festive food, apart from the usual festival menu. 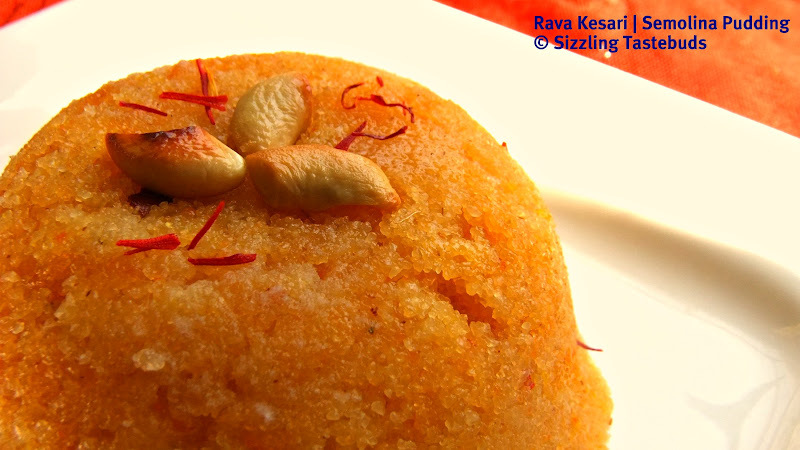 However this year, I wanted to keep it to a light dish and made Rava Kesari. Another reason for this, is the Sous chef (aka me) is missing the Executive Chef (my mom) being around this time to make any celebration better with home made Obbatu (ages since I had those......ummmm - sis : Are you listening ?!). 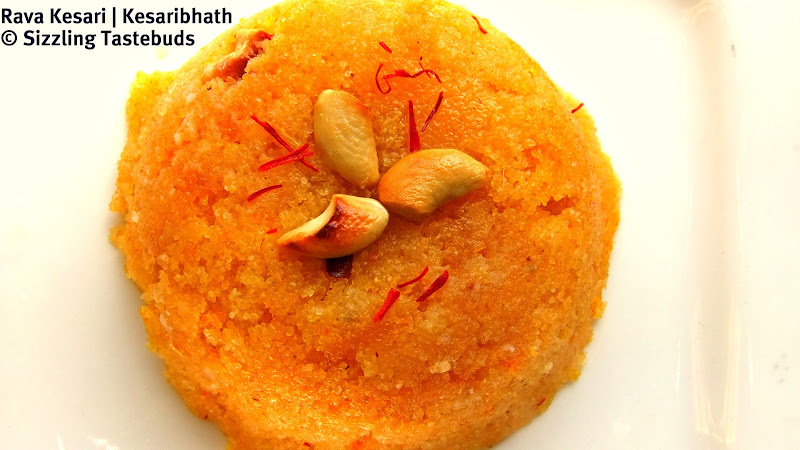 So, its a yummy dish - Rava Kesari (aka Kesaribhath in Kannada) to celebrate the onset of this Hindu Calendar year - Nandana . Coming to the dish today, its a simple but quick sweet that can be dished in minutes both for festivals as well as unexpected guests. I chuckle to recall that my grandmom used to say that Sojji (this dish) and Bajji (gram glour fritters/ pakodas) was free for all prospective grooms and their parents while they bride-shopped from one home to another in the early 50s (to as late as '90s) in India and therefore the wife should never cook this again for them, as they would have a life time helping of this dish :) Curious Indian traditions, isnt it ? Note: The gooey Kesari that is served at most marriages / functions and some temples (as prasad) is laden with ghee (and in most cases, cooking vanaspati mixed with ghee & artificial food colouring too - which quite explains the upset tummies the next day) but as they say, the richer the better :) However, keeping with the 21st century health complications that we face, I have kept the ghee quantity to a real real low level. Please do feel free to add more as you wish. 3) Add 1 cup of boiling water, cover and cook the semolina. 4) Meanwhile, dissolve the saffron strands in 2 tsp of warm milk. 5) Once the semolina / sooji is cooked, add sugar, saffron strands and 1 more tsp of ghee. Mix well till the sugar melts and the saffron lends a rich colour. 6) Now add the cardamom powder and fried cashew-raisins and mix once more. Simmer on very low flame for a further 2 - 3 mins. Add more ghee if you need it a little more moist. Sending this to my event - Holi Fest Colourful Palette & Blogging Marathon under "Quick Festive Mithai"
Last weekend, as usual, the fight was on as to who owns the remote. On weekdays, it would be a miracle if I can even catch up on my fav TV shows or even the News (Now whats new in news, when every hour there seems to be 'breaking news', you might ask!). As someone said, wristwatches became redundant with mobile phones, I think TV also has seen (or will soon will have) the same fate with internet and smartphones. Tired of waiting for the newspaper to be delivered each morning, S checks the headlines on his smart phone on the way to work, and when I do need to go beyond my 'cookbook' recipes, Google is to the rescue on mine. So,why the struggle for remote, do you ask? I just wanted to make my presence felt in the house (for sometime), although my TV show was defeated hands down with a re-re-re-telecast of Chota Bheem & Krishna (No prizes for guessing who won! :-)) ... now, all this rambling led to one thing : my kiddo said whatever cookery shows I watch or how much ever I blog, I mostly dont make her favourite dishes (and chocolate-based being on the top top favourite). Yes, I am impartial to chocolate. Actually in an anti-sentiment kind of a way. In this fast food era, I do try cutting down on fat and chocolate to an extent : my point being we dont need our kids to go the doctor or dentist too early. So, I halved the recipe, added some olive oil (to replace most of the fat), and it turned out mildly sweet and kiddo pronounced it perfect (Post note : she said that the earlier version eaten last week was more soft, so I told her there must have been eggs which I didnt add). Anyways, I guess she liked them and asked me to pack some for her friends at school too (That was like the icing on the cake...errr... brownies :-)). Needless to add, these taste divine (I am told so) served sizzling hot with vanilla ice cream. May be that combo, next time ! Sending this to BM # 14 under "Quick Kids Snacks" and the event "Bake Fest" hosted at my blog. 1) In a large bowl, sieve dry ingredients together thrice : Salt, baking powder, cocoa powder, APF. 2) In another bowl, Beat butter, oil and sugar till fluffy. Add milk, yoghurt, vanilla essence, jam and mix well again. 3) Chop the nuts finely. Dust them thoroughly with 1 - 2 tsp of flour and keep aside. 4) Meanwhile, preheat oven to 190C / 375F. Grease and flour a baking pan (if you dont have a brownie pan, use a square cake tin). 5) Mix the flour-cocoa mixture to the wet mix and fold gently. The resultant will be a gooey thickish batter (yes, you are allowed to lick your fngers as you sample the batter :D ) Add half the nuts to this batter and fold once finally. 7) Sprinkle remaining walnuts on top. Bake for 15 - 18 mins till the choco aroma wafts out and a tooth pick comes out clean. 8) Take out, cool on a wired rack. Transfer to a plate and mark out the shapes while its still cooling. 9) Cool completely. Cut out the shapes and serve. This can keep upto 3days without refrigeration.